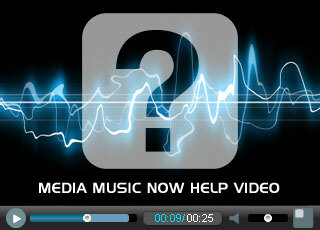 MediaMusicNow.co.uk is owned and operated by Bright Cloud Media Limited. Bright Cloud Media Limited and its subsidiaries are committed to ensuring that your privacy is protected. We collect certain information from visitors and users of our website. For example, when you register an account on our website, the personal information you provide us with includes your name, email, company, address, contact numbers and VAT number. This information is used for the purpose of creating you or your company an account along with your sales receipts and any related documents. Please note: Our website will not function properly without cookies. Without them certain features of our website will not work and you will not be able to log in. On MediaMusicNow.co.uk we use a third party web analytics service ‘Google Analytics’ to collect information and details about how people use the website. Basic information collected may include webpages visited, time spent on each page, web browser, type of operating system, IP address, location. This analytics data is only used to monitor and analyse website visitor behaviour and does not personally identify anyone. These cookies are governed by Google. After registration to our website you are presented with the option to join our mailing list. If you opt-in to the mailing list we collect information from you including subscription date, name, email and subscriber IP. Data collected is protected within the status of the company and all accounts are encrypted password protected. You should use a strong alpha-numeric password and do not divulge it to anyone. If you have registered an account with us, you can view and update the personal information we hold about you by logging into your account dashboard.